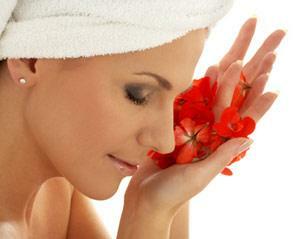 Explore a world of makeup free of irritants and pollutants. Strata cosmetics are cutting edge when it comes to makeup and skincare without the risk of irritants and pollutants. Read on to learn more about what this outstanding company has to offer. Unlike a lot of other cosmetic companies, Strata is a completely open book when it comes to their cosmetics ingredients. Proud they do not use materials that will block pores or irritate your skin, Strata is full of the natural goodness every type of skin craves. Beyond just making sure your skin is freed from all of the typical over the counter gunk you just don't need, they have taken the concept of natural skincare a step further through lightweight, breathable makeup. It doesn't hurt that it is sweat-proof and tear-proof either, being sure to not exclude athletes and sensitive souls from purchasing their items! On Strata Cosmetics' official site, you can find your perfect shade of makeup avoiding the typical purchasing errors that come with buying new and unfamiliar cosmetics. Instead of playing the guessing game, or trying to wear foundation and lipstick on your hand, Strata Cosmetics has set up an extensive diagnostic on their site allowing you to make smart purchasing decisions. Everything from finding your skin tone to choosing personalized makeup styles can be discovered on their web pages. One way they do this is debunking the myths and common assumptions that come with the usual makeup terminology. For example, they are quick to point out "shimmer" doesn't mean you are going to sparkle and out-glitz your every day life. They instead explain how the ingredients found in shimmer makeup add dimension and a youthful look to skin, but not so youthful you feel as if you are in the sixth grade again! Lastly, they give you information as to how to correctly apply your makeup and care for your application tools. This will ensure all of your Strata Cosmetics purchases enjoy the longest life possible and enable you to get the most out of the makeup and skincare products you do choose to incorporate into your beauty routine. Strata Cosmetics is so sure you will love their products they offer a generous array of sample sizes available for purchase at reasonable prices. From foundation to shadow to shimmer, you can try a great variety of their products without breaking the bank. Beyond their sample program, they also offer refills, which save money and the environment at the same time. Just like their ingredients and website, Strata keeps their delivery simple, allowing you to get the look you want without having to deal with all of the unnecessary details and money wasters usually associated with purchasing cosmetics. Strata Cosmetics offers a line of foundation in diverse colors for every skin tone. With forty-two shades to choose from, it is recommended you know your skin quite well before purchasing a foundation. Research your skin type and coloring, and what sort of undertones you have as well. After you know these facts about your face, you can really go to town on their website, exploring their unique formulations, ingredient lists, and easily finding the perfect match for your skin. Are you unsure about a color or formula? Remember to cash in on those inexpensive samples to make an educated decision before spending a lot. Strata Cosmetics allows you to be money conscience with one of the most skincare conscience companies around. Much like their foundation, Strata Cosmetics carries a line of shadows and shimmers. With a basic knowledge of your skin type, you can discover what will keep your face looking its best. Many of these shadows are also available in sample sizes as well. Strata's shadows and shimmers are reasonably priced at the full size as well, and from pinks to purples to the deepest of blues, you are sure to find a color that is perfect for you. Be sure to also check out their eyeliner sealer, which converts your powder shadow and liner into a smooth liquid quickly changing the intensity of your look and making for an easier application. Before you close your browser window, be sure to check out Strata Cosmetics' great selection of skincare as well. With sugar body scrubs and 100% vegetable soaps, you will be doing your face a favor. Their soaps are not only fun to use, but they are incredibly original visually. Furthermore, they leave you smelling great. Decide if you have more of a sweet tooth with Strata's pink cupcake and blackberry lemon scents, or if you are more of a nature girl with their orchid and vanilla soaps, to name just a few. If you are looking for a great alternative to the typical makeup and skincare selection, then check out Strata Cosmetics today.